This solar atomic watch is designed with a large case and stainless steel bezel & buttons to create a look that is performance driven, yet remains sophisticated. 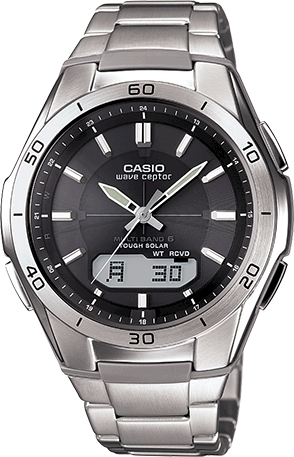 With 100M water resistance and convenient functions like world time, stopwatch and alarm, it is perfect for both business and casual attire. Black resin band analog and digital watch.